For the first time in NYC history, we’re dedicating a week to supporting all of NYCs talented and high potential youth. 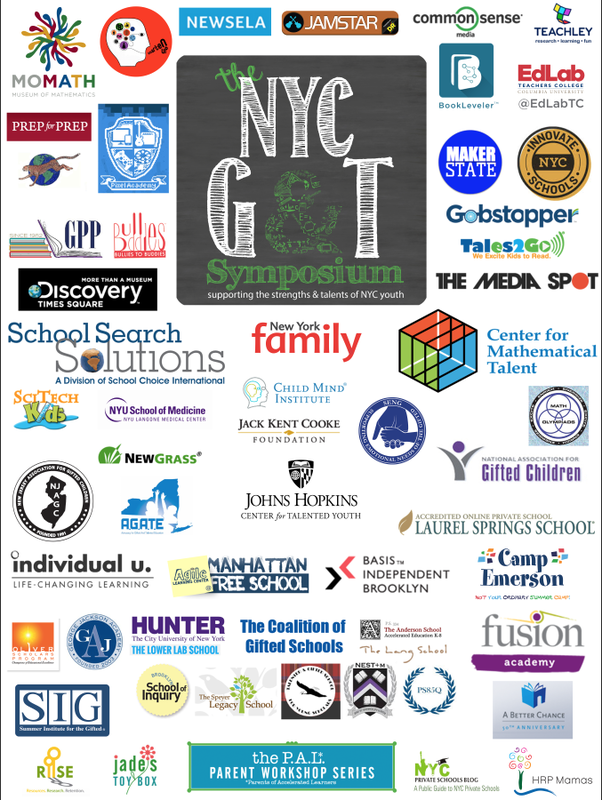 Bookended by the 2016 NYC Gifted & Talented Symposium and the Breakthroughs in Twice Exceptional Education Conference, the NYC G&T + 2E WEEK is a week-long collaboration among PALNYC, The Quad Prep School, The Lang School, NAGC, AGATE, Johns Hopkins Center for Talented Youth, Tutorlist, NY Family and others to support the strengths, talents and developmental needs of NYC youth. The calendar of events and details are posted here. It’s Back! The NYC Gifted & Talented Symposium includes topics on talent development, social & emotional development and how to navigate the practical matters for parents and educators of NYCs high potential youth, from pre-k through middle school. As requested by NYC families, the keynote, Finding Nourishment for Advanced Learners in Today’s Education Desert by Johns Hopkins Center for Talent Youth’s Dr. Elaine Hansen and a Thought Leaders Conversation– The Secret Sauce: Articulating What Works in Educating High Ability Youth Citywide will focus on best practices for supporting high ability youth throughout NYC. A Curated Exhibit Hall will feature the best and most unique programs to support the passion, interest and talent areas of our children. The Education Technology Discovery Showcase allows parents and educators to test drive innovative programs that support teachers and students in the classroom and children and their parents at home. And finally, the Michael Perelstein Discover Your Passion awardees, the third cohort of talented NYC youth with talents that include the arts, comedic performance, computer science, music and chess, will exemplify what gifted and talented education looks like in practice. Plus, this year we are pleased to offer a strand dedicated to professional development for educators for $15 for our schools. The Professional Development strand for educators includes: Providing Rigor and Relevance in the Classroom- presented by Elissa Brown, HUNTER College; Performance-Based Assessments; Genius: Then, Now, Tomorrow- Literacy & STEM Curriculum by 92Y and Discovery Eduction; Why Spatial? Spatializing the Curriculum with Dr. Amy Shelton, Johns Hopkins Center for Talented Youth; The Secret Sauce: A Showcase of Exemplary Teaching & Best Practices in Action presented by PALNYC; Intro to Social & Emotional Needs of High Ability Youth; The Gifted Ed Toolkit: A Beginners Guide to Your Advanced Learner; Twice Exceptional Learners: Support, Advocacy and Educational Options for 2E Kids; The Dog Ate My IPad: Executive Function & Organizational Skills for Middle Schoolers; The Flip Side of ‘Gifted’: Uneven, Unmotivated, Perfectionist & Anxious; Math Education for Girls- Math Circles & Math Olympiads; Bridging the Great Divide through Parent Engagement and more. To learn more about the sessions and descriptions, see The 2016 NYC Gifted & Talented Symposium & Benefit. In middle and high school, students start transitioning to adulthood and take on more responsibility and a larger academic and social load. 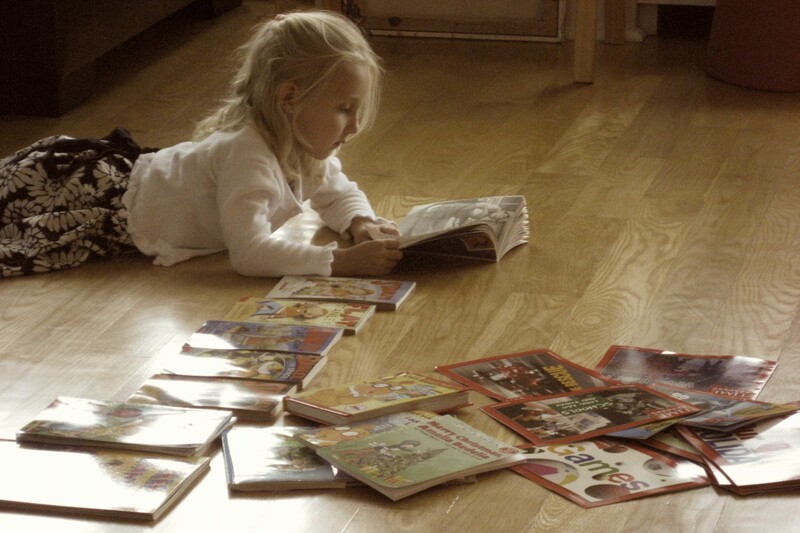 Students often struggle with managing their assignments and extracurriculars on their own, and parents wonder how they can best help. Join us to learn: Signs that your middle or high schooler is struggling with self management, Why executive function skills are so challenging, and what’s going on in your child’s developing brain, Tactical solutions to help your child become more organized, confident, and independent. Featured Speakers from Packer Collegiate Institute: Catherine Jennings, Science Department, Nitya York, English Department and Dean of 7th/8th grade Kate Gleeson, Learning Specialist. Breakthroughs in Twice Exceptional Education Conference, Thursday, March 17 & Friday, March 18 • 41 Cooper Union • $99 in advance, students $25. The second annual Breakthroughs in Twice Exceptional Education Conference,- now a 2-day event- March 17 (evening) – March 18, Presented by The Quad Preparatory School and The 2e Study Center at The Quad in partnership with The Cooper Union. Evening Opening Reception with Special Guest Michelle Garcia Winner; Morning Keynote: Wired To Create: Unraveling the Mysteries of the Creative Mind with Scott Barry Kaufman, Ph.D. AND Special Afternoon Screening of 2e The Movie Sponsored by The NYU Child Study Center at NYU Langone Medical Center, Part of Reelablities: NY Disabilities Film Festival on Saturday March 18th @ 3:30 PM.